Every major TV broadcast company seems to be exploring video on demand services but some are having a harder time than others. It appears the UK’s VOD joint venture between BBC Worldwide, ITV and Channel 4 has been delayed again. 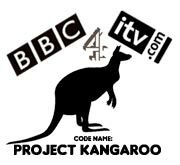 The Project Kangaroo offering, which has been called the UK’s replication of Hulu (a joint venture between News Corp and NBC Universal, was stalled in June to allow for an antitrust review by the Competition Commission (“CC”). That will push the CC’s official review deadline back until January. Subject to the reviews findings, Project Kangaroo’s launch will likely happen in the first half of 2009. • Will ISP Throttling Hurt Online Entertainment?